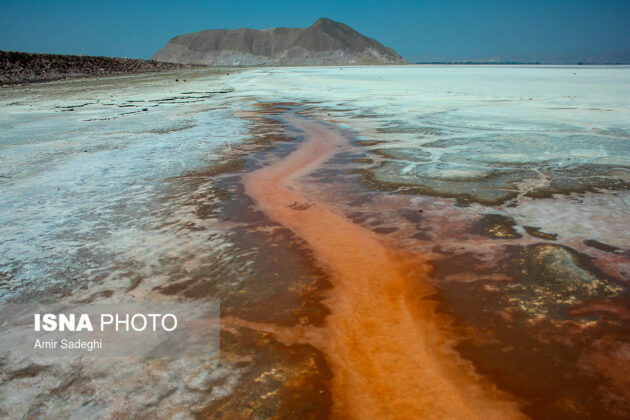 Increased activity of Artemia brine shrimps and a few other aquatic creatures has changed the colour of Lake Urmia into red. IFP translated a report by ISNA on the restoration of Lake Urmia as follows. 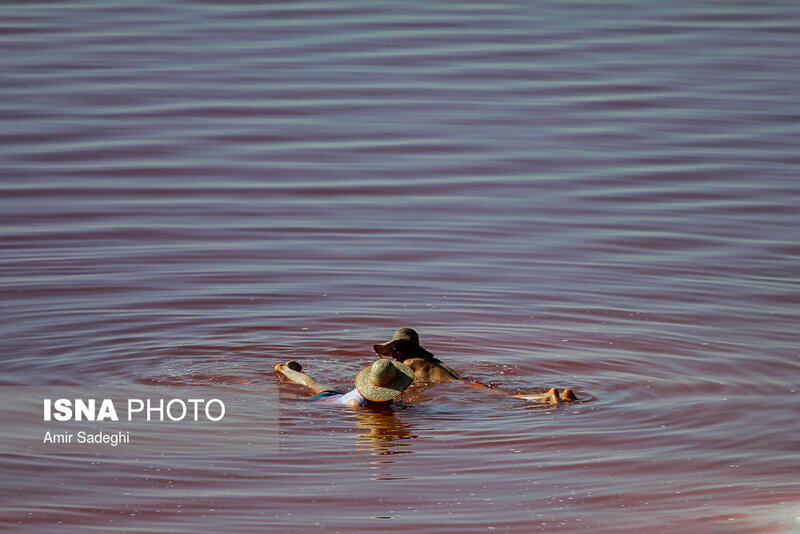 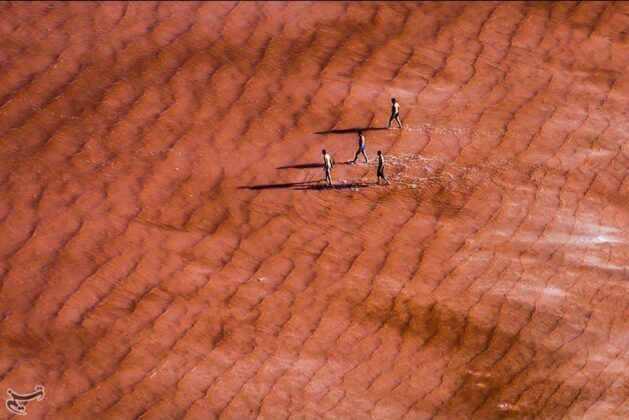 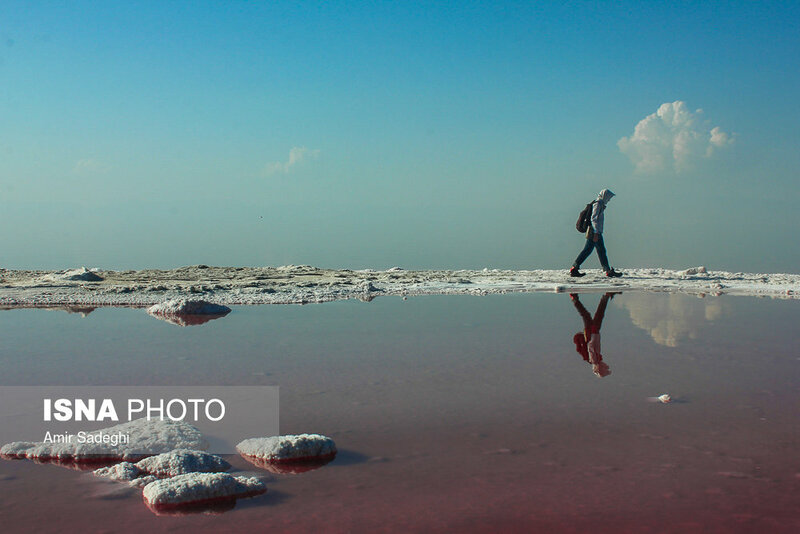 Lake Urmia in northwest of Iran has recently turned red. 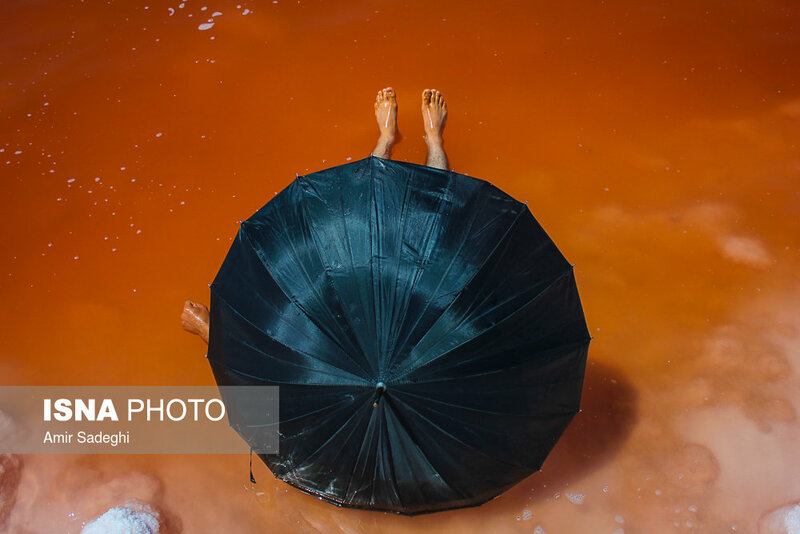 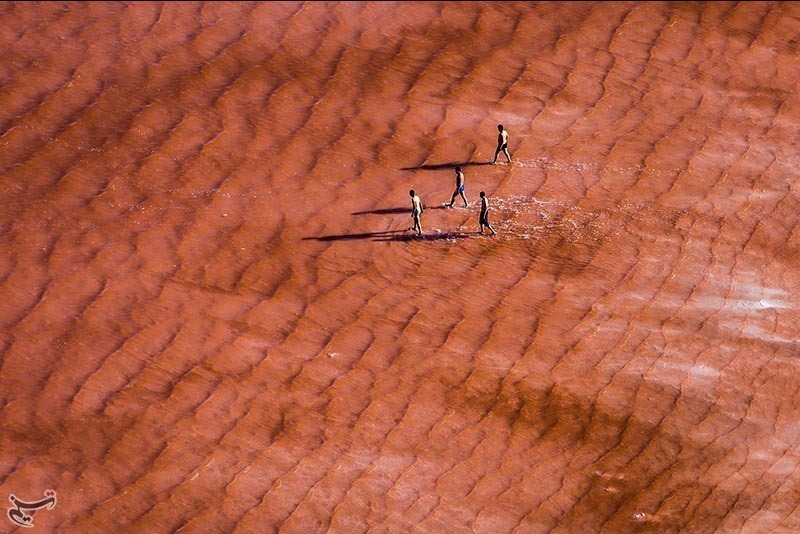 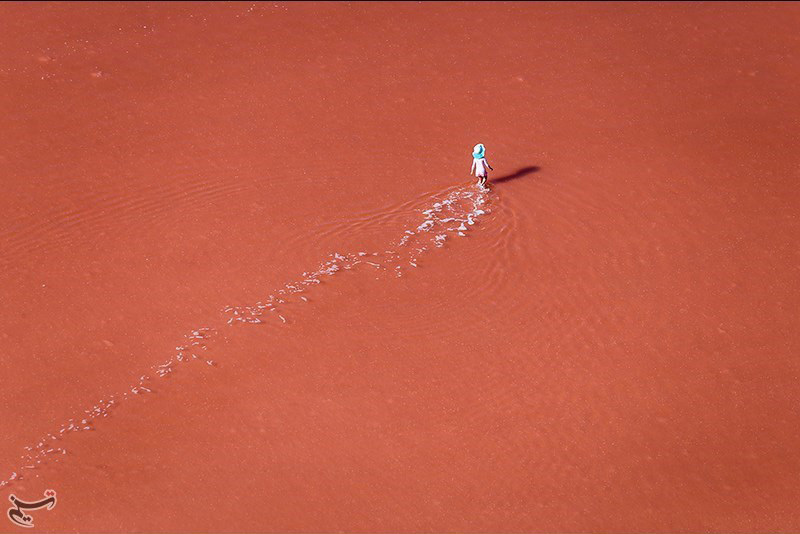 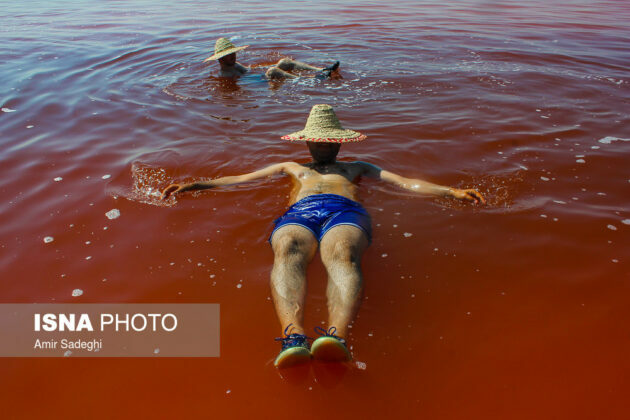 Experts believe that the red colour is caused by three factors: the increased activity of Artemia brine shrimps, the activity of a green micro alga called Dunaliella Salina, and the Lake’s excessive salt water. 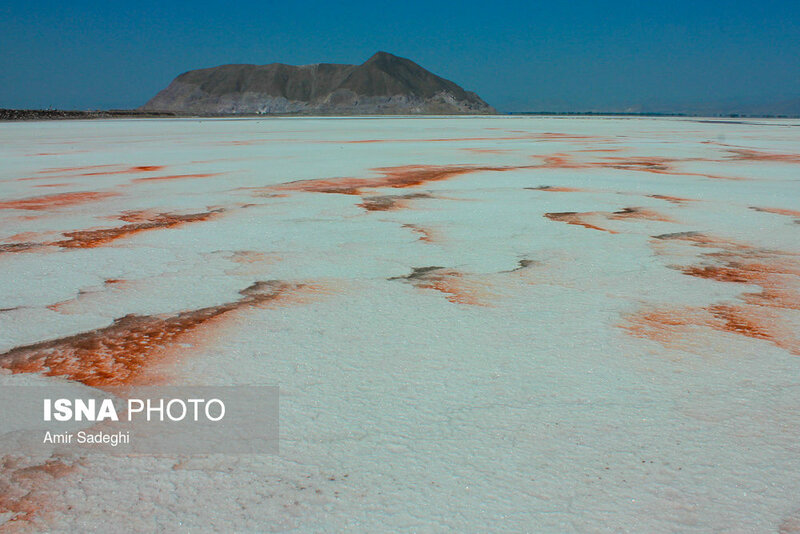 Artemia, which is dubbed ‘Iran’s living gold’, is a genus of aquatic crustaceans that lives in brine lakes. 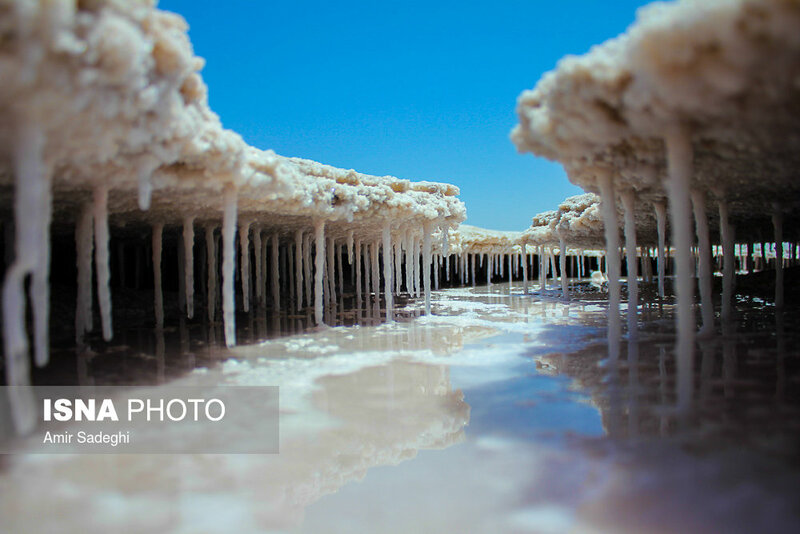 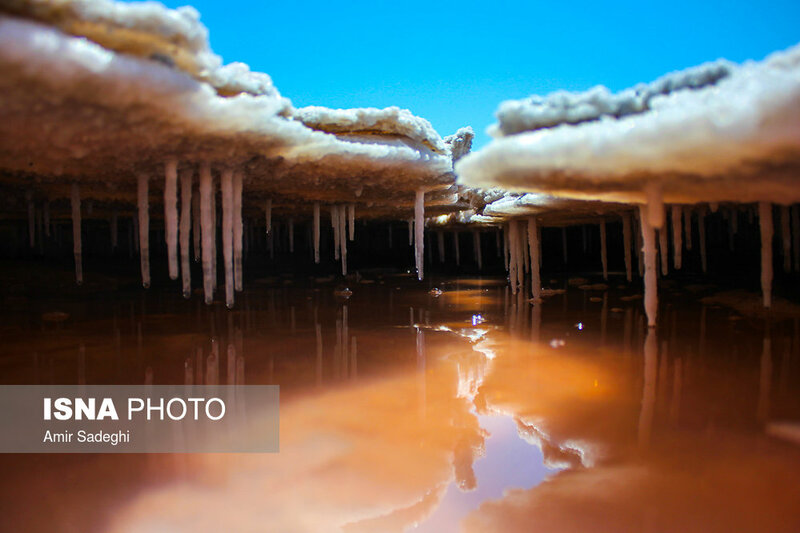 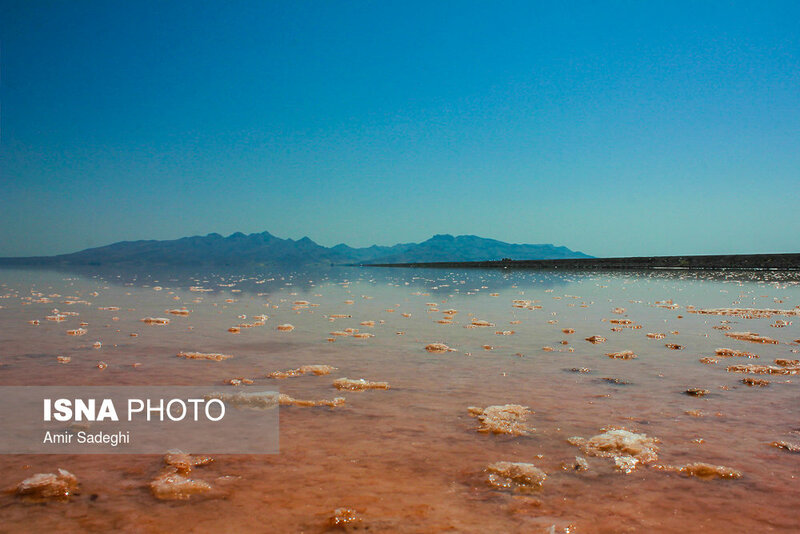 Lake Urmia is replete with this aquatic creature that is used in shrimp and fish industry. 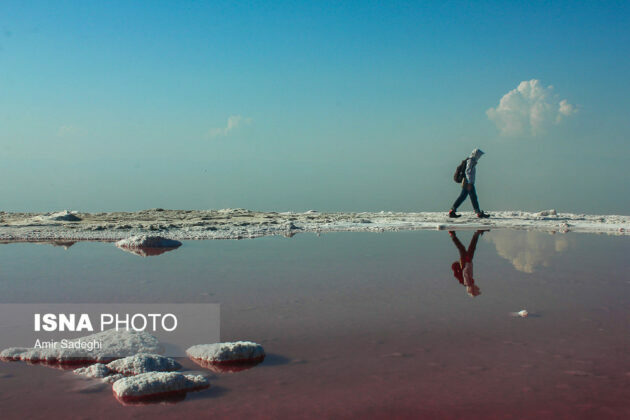 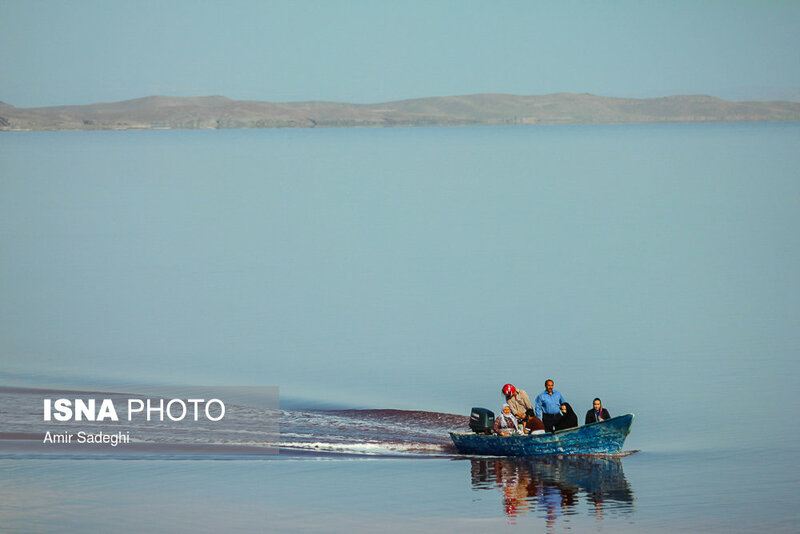 World’s sixth largest saltwater lake, Lake Urmia, is located near the Turkish border between the provinces of East Azerbaijan and West Azerbaijan. 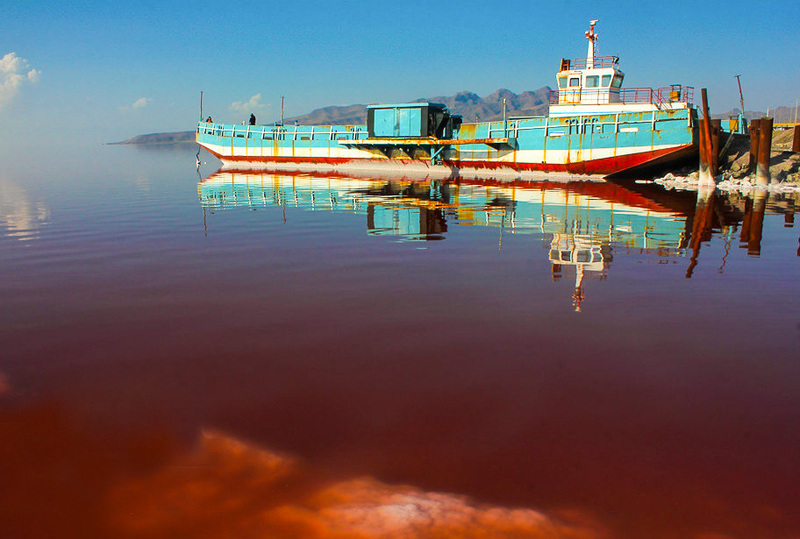 The lake has been shrinking for three decades, and since its shores have started to recede, the surrounding land has begun to die, causing an unprecedented ecological disaster. 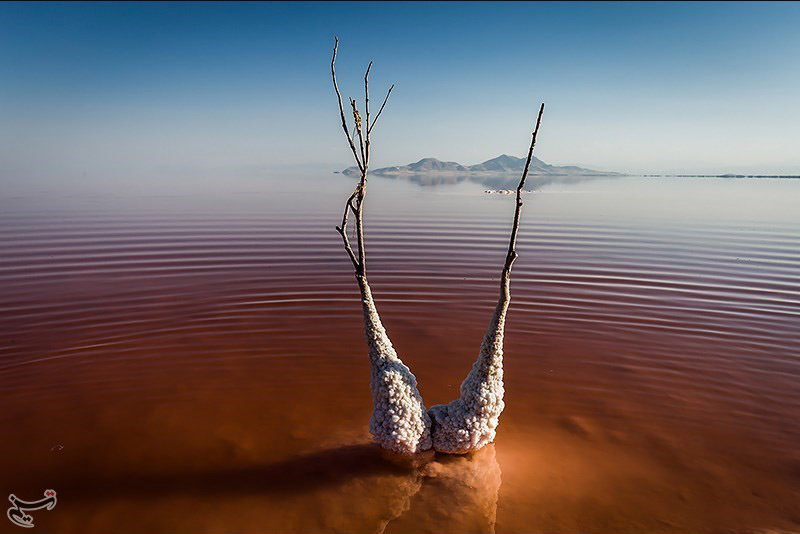 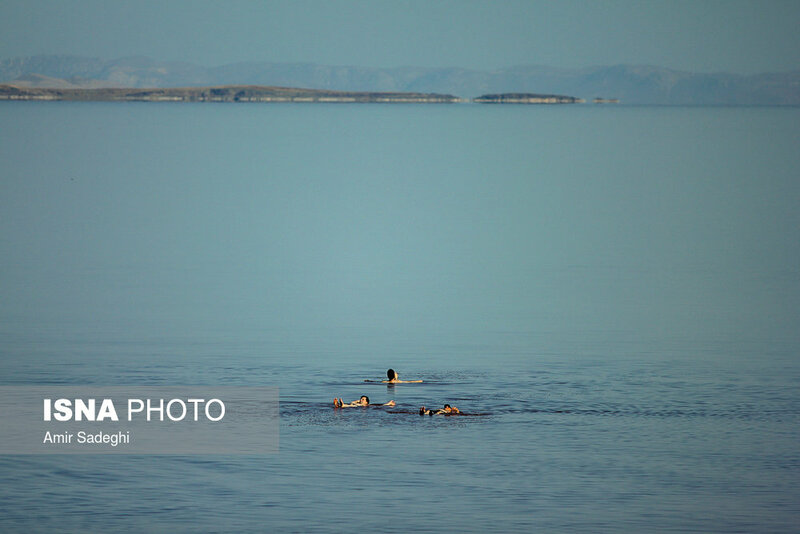 The rising level of Lake Urmia’s water, either achieved by replenishment or an increase in rainfall, has brought back to the Lake not only various species such as stilt birds but also scores of people who visit the lake for swimming. 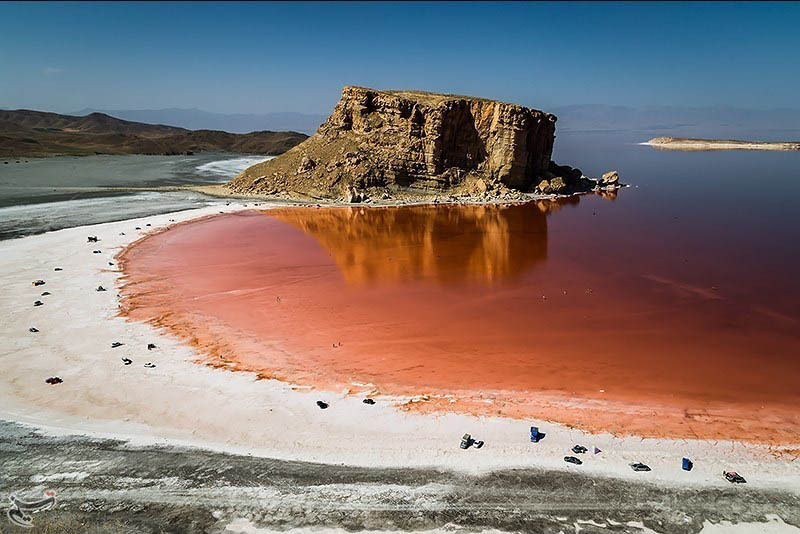 It is good to know that Lake Urmia is being restored. 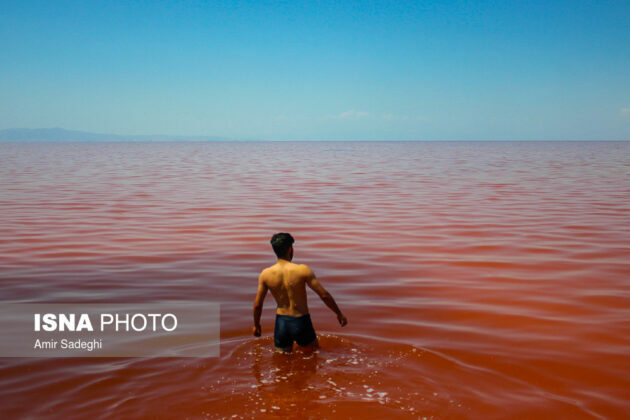 [:fa]Increased activity of Artemia brine shrimps and a few other aquatic creatures has changed the colour of Lake Urmia into red. 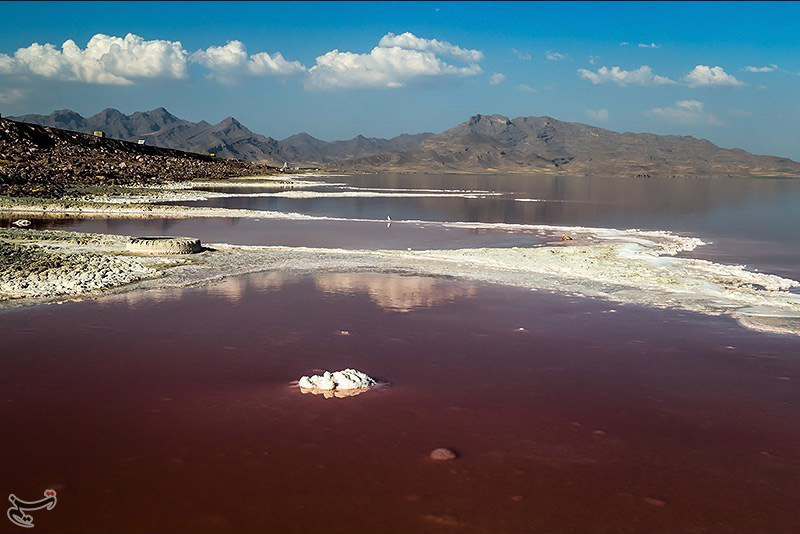 [:ar]Increased activity of Artemia brine shrimps and a few other aquatic creatures has changed the colour of Lake Urmia into red.